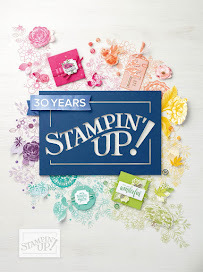 I have loved using this stamp set to make some pretty cute cards and this has to be one of my faves! I love the look on the snowman's face. 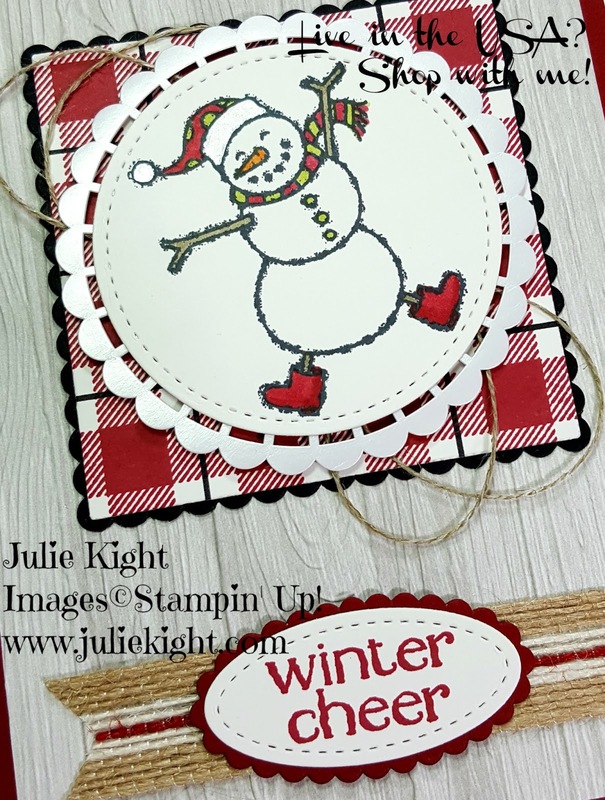 He is truly enjoying this Holiday season and that is how I wanted to recipient of this card to feel. I used some of the Frosted White Shimmer paint on his hat and pom pom to make them shine. For the background buffalo plaid I used the new Buffalo Plaid stamp in Cherry Cobbler then I took the Basic Black Marker and a ruler and just drew lines through the white areas of the design. Very easy to do and the color combos are endless. 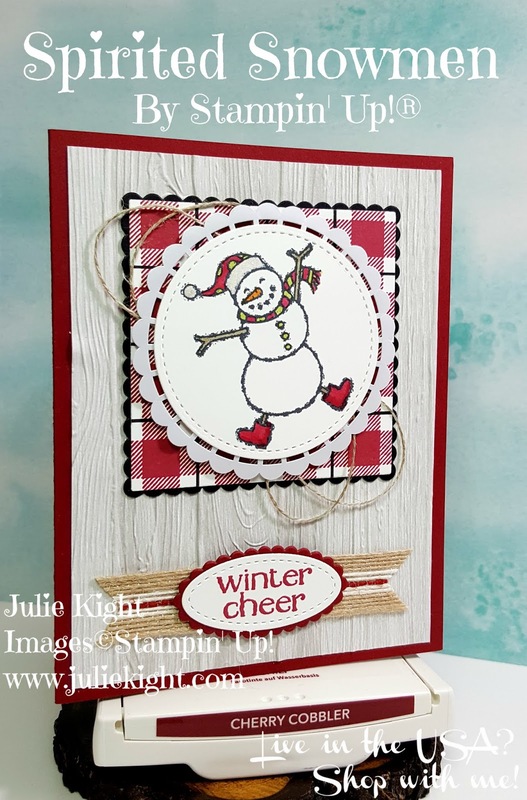 I also used a piece of the Festive Farmhouse DSP (Designer Series Paper) with the Pinewood Dynamic Textures Impressions Embossing Folder to give the DSP a real wood texture. 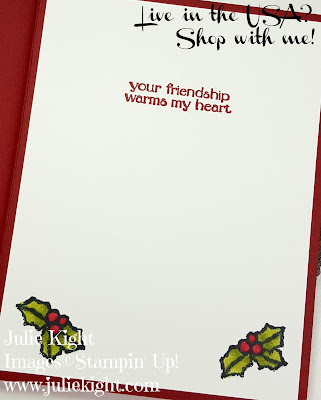 I stamped and colored the inside of my card as well. It allows the outside theme to continue to the inside. Well, thank you for looking at my card today. 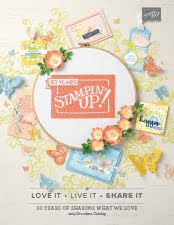 Remember to continue to the next person in the blog hop listed down below and have a great day!